Welcome to Meet the Teacher – CodeMonkey’s blog segment where teachers from all over the world share their experiences on what it’s like being an educator. 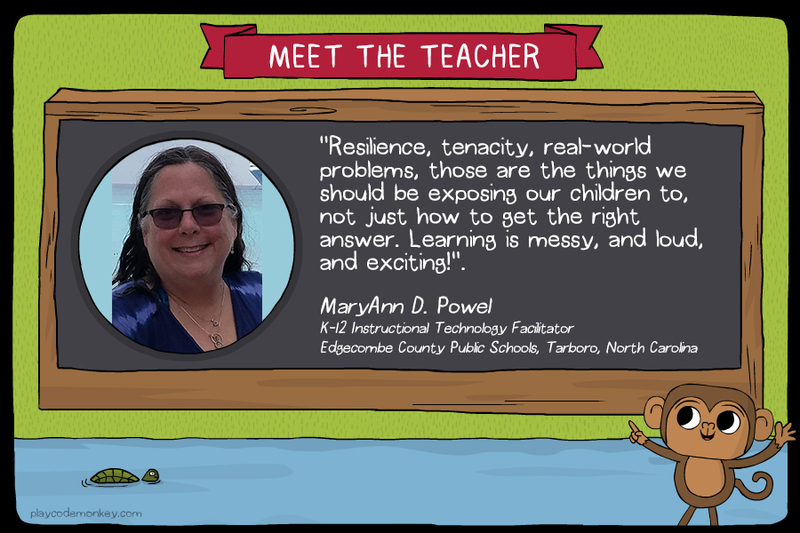 Today’s post features MaryAnn D. Powell who is a K-12 Instructional Technology Facilitator at Edgecombe County Public Schools in Tarboro, NC. “Initially, I became a teacher because I wanted a mom’s schedule: summers off to be with my kids. Then while I was being a stay-at-home mom, I fell in love with our home PC, back when the Internet and the world it opened up were new. Then I found out I could combine my love of computers with my teaching profession and teach something I LOVED! Graduate school, here I came! I am very much connected to my local teachers, regional teachers, state organization members, national techno-geeks, and the global education community. 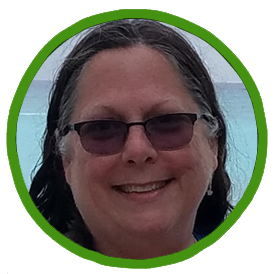 I have participated in several MOOC-Ed courses through The Friday Institute and NCSU, as well as being a lurker and sometimes tweeter on Twitter (ECPS_MsP). I subscribe to so many blogs, I can’t count them, and when there are no other demands on my time, I’m scouring them to find something new to learn. I think there is no better way to be a lifelong learner than to connect with other like souls. Working with children reminds me daily that they are our future! If we fail to prepare them for the unknown that is their futures, we have failed them. Resilience, tenacity, real-world problems, those are the things we should be exposing our children to, not just how to get the right answer that is going to be on “the test.” We spend way too much time and effort sitting in straight rows, maintaining silence, prepping for tests, having student regurgitate facts, when we should really be encouraging students to think for themselves! Learning is messy, and loud, and exciting! It’s important to me that my students find their passion, that one thing they WANT to learn about! That opens the door to so much more learning. It’s also important that they know I care. You know the rest of that story.